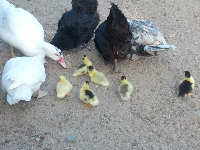 Well came home to the most welcome site of 6 fluffy ducklings following mum and auntie chook. 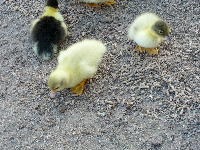 This was especially joyous as this is this mumma ducks second attempt. Unfortunately this joy was short lived. 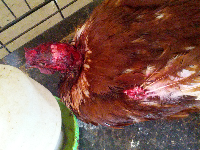 As we are now monitoring a young rooster who had been attacked by another young rooster. This is evidence of how brutal chickens can be. Will keep you updated on his condition.